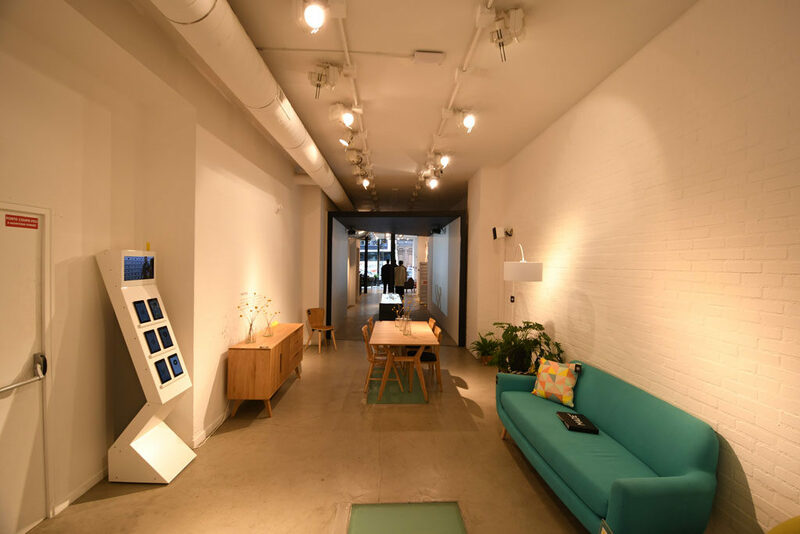 Want to experience a truly innovative store : pay a visit to Made.com, a brick-and-mortar shop which offers a truly unique customer experience. Made.com is an online brand offering design furniture at democratic prices through bypassing intermediaries. 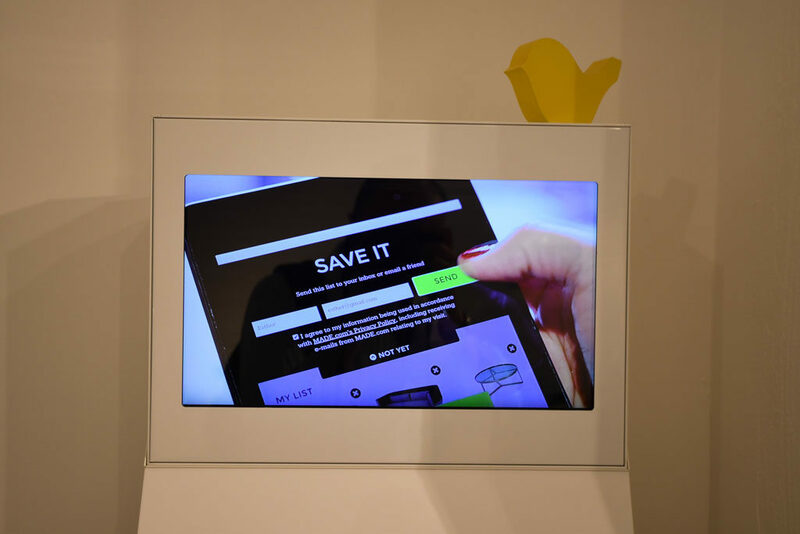 Their Parisian store extends the online experience in the real world thanks to several innovations. Not only does this wall produce a lasting visual impression. But it’s also very useful for customers. 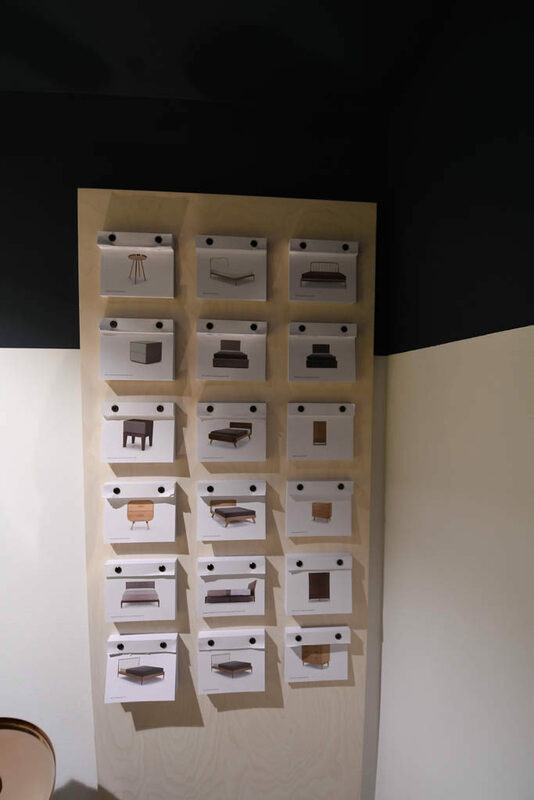 Each piece of furniture in the collection has its own product sheet that you can take with you along with a material sample. This may remind you of the material lab that can be found at Audi City stores in Berlin and London. Because deciding on the purchase of an expensive product is difficult, Made.com tries to eliminate all hurdles. The sample is a weapon of mass conviction : it will help you get an actual impression of the final product but it will also help convince your partner and make up your mind when you’ll be back home. 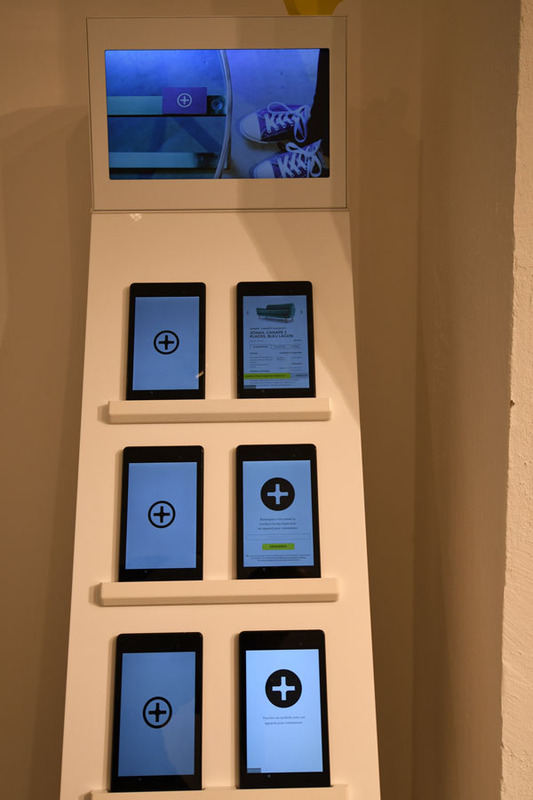 Definitely one of the most clever retail innovation we’ve spotted in a while. What you’ll notice when entering the store is that there are no price tags. Instead you have a black plastic card with a big “+”. I found myself trying to understand what this card was until I found the explanation somewhere else in the store. 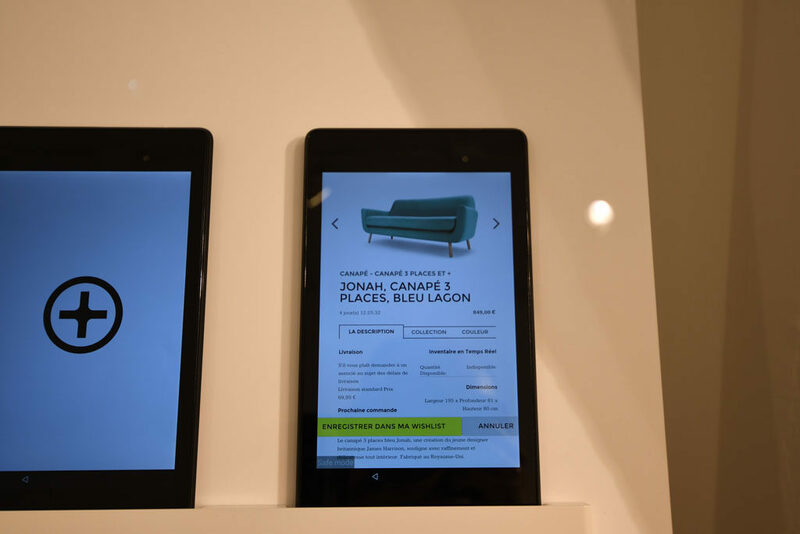 When the tablet is placed on top of the card, information on the product are automatically displayed and help the customer get additional information on the product. It’s really a cool feature that bridges the offline and online worlds. The best of both worlds is finally reunited. 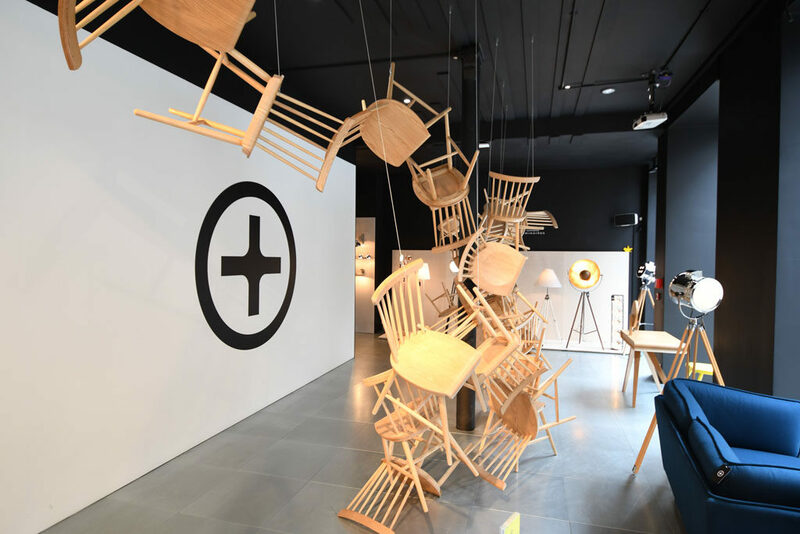 Perhaps not an innovation in itself, the interior design of the store is a reason in itself to pay a visit. Everything is clearly arranged, neat and terribly attractive. If you combine the design with excellent service we think this is a winning combination.